Also known as “Mackerel's Rant” (unofficial), “Maxwill's Rant” (unofficial). The Society’s version of this dance can be traced to Rutherford’s first collection of about 1755 where it is given as Maxwill’s Rant. The Maxwells, in common with many of the great Border families, regularly changed allegiance between English and Scottish monarchs as best suited the family interest. For example, Sir Eustace Maxwell held Caerlaverock Castle, the family seat, for Edward I in 1312 but by 1320 was one of the signatories of the Declaration of Arbroath as a supporter of Robert the Bruce although five months later he was accused, and cleared, of involvement in an attempted assassination of The Bruce. Added on: May 6, 2012, 3:38 p.m.
Added on: Sept. 22, 2012, 12:12 a.m.
Added on: Oct. 3, 2018, 7:14 p.m.
Oxford Burns Nights Supper & Dance 2018 2018-01-27 Christine Jeffery Jan. 14, 2018, 5:34 p.m.
16 02 06 Eastbourne 2016-02-06 Chris Pratt Dec. 12, 2015, 3:26 p.m.
160102 Silver Cross Wheathampstead 2016-01-02 Alan Goulding Jan. 1, 2016, 4:49 p.m.
Trinity SCDC Edinburgh 2018/01/13 Marian Anderson 2018-01-13 Daniel Hintermann Jan. 8, 2018, 5:35 p.m.
Wrexham - Monday 28 January 2019 2019-01-28 Andrew Locke Jan. 23, 2019, 7:03 p.m.
Jean's Programme - 18 April 2017-04-18 Joy Scott April 10, 2017, 10:23 p.m.
Darmstadt_2016_01_25 2016-01-25 OnYourToes Darmstadt Jan. 24, 2016, 8:02 p.m.
Balmoral SCD Group - Afternoon dance - St David's Church Hall, Edgecumbe, NZ 2018-08-18 Jette Rossen Aug. 2, 2018, 7:14 p.m.
TSC Sorrento Week 2 2017-03-22 (Wednesday) 2017-03-22 Amanda Peart Jan. 15, 2017, 8:56 p.m.
RSCDS Cheshire Christmas Social 2017-12-13 Christine Grove Nov. 29, 2017, 10:55 p.m.
Newcastle Festival Interval Dances 2016 Narhalla Dancers Feb. 11, 2016, 12:33 p.m.
RSCDS Wirral - Tuesday 19 March 2019 2019-03-19 Andrew Locke March 17, 2019, 6:40 p.m.
70, wow that was quick!! 2018-11-09 Stuart Kreloff Jan. 13, 2019, 10:25 a.m.
Bedford SDG 2014-11-09 Supper Dance 2014-11-09 Keith Rose Oct. 24, 2014, 12:11 a.m.
Richmond ~ 190116 Dance 2019-01-16 James Wilson Jan. 12, 2019, 9:22 p.m.
TSC in Madeira (CD Week) 19-02-19 2019-02-19 Amanda Peart Nov. 9, 2018, 9:18 p.m.
16 06 11 SASS Mannings Heath 2016-06-11 Chris Pratt Feb. 23, 2016, 4:35 p.m.
RSCDS Edinburgh Strawberries and Cream Summer Dance 2017 2017-07-29 RSCDS Edinburgh April 6, 2017, 11:39 p.m.
San Jose Class - 2018 Oct 22 2018-10-22 Rachel Pusey Nov. 3, 2018, 5:44 p.m.
Peterborough RSCDS Afternoon Tea Dance 2015-02-13 Sheila Lewins Dec. 12, 2014, 10:07 p.m.
Alva Summer Dance: James Coutts 2018-06-28 Mary Cant June 10, 2018, 1:27 p.m.
Lymm Friday Dance 2017-10-27 Andrew Locke Oct. 27, 2017, 5:08 p.m.
DA 2018-09-01 2018-09-01 Chris Ronald Aug. 28, 2018, 9:52 p.m.
Atholl SCDC - John's programme - 17 January 2017-01-17 Joy Scott Nov. 12, 2016, 1:35 p.m.
18 03 03 Crawley 2018-03-03 Chris Pratt Nov. 19, 2017, 11:40 p.m.
Trinity 23 March 19 - James Coutts 2019-03-23 Bill Austin March 17, 2019, 4:04 p.m.
Poynton Summer Party 2017-07-13 Andrew Locke July 11, 2017, 8:27 p.m.
Headington 1 November 2018 2018-11-01 Sandra McLevy Nov. 1, 2018, 6:47 p.m.
Watford Scottish Summer Dance, 30th June 2016, Bushey Centre, WD23 1TT, 8pm - 10.30pm. Live Music from Chris Oxtoby 2016-06-30 Andy Wiener May 28, 2016, 4:38 p.m.
Cheam ~ 171014 Dance 2017-10-14 James Wilson Oct. 11, 2017, 11:58 a.m.
2018-11-10 Trinity at Fairmilehead 2018-11-10 John Nuttall Oct. 31, 2018, 11:19 p.m.
Ross on Wye 2014 Sunday Riekje O. March 31, 2014, 10:31 a.m.
Waltham weekly 2018-11-01 2018-11-01 John Aitken Oct. 28, 2018, 1:13 p.m.
Richmond 06.03.19 2019-03-06 Simon Stewart Feb. 28, 2019, 3:22 p.m.
RSCDS Edinburgh Annual Ball 2019 2019-05-11 RSCDS Edinburgh Nov. 1, 2018, 10:55 a.m.
Leeds Branch Dance 21 March 2015 2015-03-21 Christine Parker-Jones Feb. 7, 2015, 2:55 p.m.
Basingstoke 2013-12-14 Christmas Charity Dance 2013-12-14 David McQuillan Nov. 15, 2013, 8:15 p.m.
Alva 120718 S MacFadyen 2018-07-12 Mary Cant June 28, 2018, 3:14 p.m.
Long_Awaited_Party 2019-10-15 Stuart Kreloff Oct. 9, 2017, 11:27 a.m.
170925 Nürnberg 2017-09-25 Annette Lotz Oct. 1, 2017, 6:37 p.m.
RSCDS Falkirk 2017 Clackmannanshire Joint Dance 2017-05-26 Craig Skinner April 3, 2017, 3:11 p.m.
Watford Scottish Summer Dance, 30th June 2016, Bushey Centre, WD23 1TT, 8pm - 10.30pm. Live Music from Chris Oxtoby (Copy) 2016-06-30 Andy Wiener June 23, 2016, 12:04 a.m.
Scottish Weekend 2019 Welcome Dance 2019-09-27 ellen ternes April 10, 2019, 9:58 p.m.
19 05 18 Horsham 2019-05-18 Chris Pratt Jan. 4, 2019, 1:47 p.m.
RSCDS Ottawa Branch - October 2016 Monthly Social 2016-10-21 John Bottriell Sept. 30, 2016, 1:37 a.m.
18.05.09 Richmond 2018-05-09 Evelyn Norman May 7, 2018, 11:31 a.m.
Potters Pairs 2017 - Saturday Nameless Dancer March 19, 2017, 4:52 a.m.
Waltham AGM 2016-08-25 2016-08-25 John Aitken Aug. 12, 2018, 11:34 p.m.
Watford & West Herts Scottish Society Improvers' and Beginners' Summer Class - 07 August 2017 2017-08-07 Stuart Kreloff Aug. 6, 2017, 10:20 p.m.
Oxford Burns Nights Supper & Dance 2019 2019-01-19 Christine Jeffery Dec. 20, 2018, 12:02 a.m.
Colwyn Bay, Llandudno & District Caledonian Presidents and Visitors 2017 2017-09-30 Andrew Locke Aug. 27, 2017, 7:29 p.m.
Waltham AGM 2017-08-31 2017-08-31 John Aitken Aug. 12, 2018, 11:35 p.m.
Knowle SCDC - Annual Dance 2019 2019-03-30 Robert Dean Oct. 7, 2018, 11:30 p.m.
Chiswick ~ 161023 Club Night 2016-10-23 James Wilson Sept. 21, 2016, 7:26 p.m.
HaddingtonSCDC April 2019 2019-04-16 Iain McNeill April 6, 2019, 12:35 a.m.
Church Stretton Weekend - Sunday 14 April 2019 2019-04-14 Keith Rose April 4, 2019, 1:11 a.m.
Surbiton 2018 September 13th 2018-09-13 Jenny Kendrick Sept. 7, 2018, 8:34 p.m.
Malhamdale 2018 Friday 30th November 2018-11-30 Janet Brayson Sept. 5, 2018, 5:42 p.m.
RSCDS Wirral - Tuesday 21 March 2017 2017-03-21 Andrew Locke March 20, 2017, 12:50 p.m.
RSCDS Leicester Class - 13 September 2018 2018-09-13 Margaret Spence Sept. 1, 2018, 8:02 p.m.
DA 180427 Sue Ronald April 23, 2018, 5:32 p.m.
Dundee First Foot 050119 2019-01-05 Mary Cant Oct. 18, 2018, 6:53 p.m.
Peterborough & District RSCDS Afternoon Tea Dance 2018-05-11 2018-05-11 Amanda Peart April 12, 2018, 6:31 p.m.
Watford 2015-06-25 Summer Social Dance with Video Links 2015-06-25 Stuart Kreloff April 19, 2015, 10:30 p.m.
15 07 18 Brighton and Hove 2015-07-18 Chris Pratt April 26, 2015, 10:51 p.m.
20170408 - Trinity - Edinburgh 2017-04-08 Zsofia Jozsef March 21, 2017, 8:37 p.m.
Bedford SDG 2013-02-09 Supper Dance 2013-02-09 Keith Rose Nov. 7, 2012, 11:42 p.m.
Budapest Local Club 12.05.2015 2015-05-12 Zoltán Gräff May 12, 2015, 9:31 p.m.
Crieff 06/11/14 2006-11-14 Stephen Bryan May 21, 2014, 6:05 p.m.
Leeds Branch Dance 16th February 2019 2019-02-16 Janet Brayson Dec. 5, 2018, 12:41 p.m.
Warm-up Dances Anselm Lingnau April 8, 2018, 10:54 a.m.
A SPRING FLING FOR ILKLEY 2019 2019-05-16 Janet Brayson Feb. 11, 2019, 12:22 p.m.
RSCDS York & North Humberside Branch 21st November 2015 2015-11-21 Irene Dracup Aug. 20, 2015, 2:17 p.m.
London ~ 150818 Summer Tuesday 2015-08-18 James Wilson Aug. 14, 2015, 8:35 a.m.
Peterborough & District RSCDS Burns' Supper Dance 2017 2017-01-28 Sheila Lewins Nov. 20, 2016, 11:48 a.m.
2017-03-18 Dunedin Spring Dance 2017-03-18 John Nuttall Feb. 25, 2017, 4:43 p.m.
GASP January 13 2017 2017-01-13 John Bottriell Nov. 9, 2016, 10:49 p.m.
2018 Turin Dance 2018-03-10 Atsuko Clement March 7, 2018, 6:38 p.m.
GASP - April 7 2017- Bill Low 2017-04-07 John Bottriell March 11, 2017, 4:17 a.m.
DA 180309 Sue Ronald March 9, 2018, 5:51 p.m.
18.03.03 Northey Avenue 2018-03-03 Evelyn Norman Feb. 21, 2018, 1:51 p.m.
20180623 RSCDS Stirling with James Coutts 2018-06-23 Kate Kinnear May 24, 2018, 12:27 a.m.
2014 TAC SS Ball Saturday Chris Ronald June 29, 2014, 3:55 p.m.
Atholl SCDC Week 03 Alison`s Programme 02/10/18 Website:-www.athollscdc.co.uk/ 2018-10-02 Brian Martin Sept. 17, 2018, 3:22 p.m.
York and North Humberside Anniversary Ball 2015-11-02 Irene Dracup Nov. 2, 2015, 10:24 p.m.
Arctic Circle Welcome Dance 2018-06-01 Angela Lawrence May 29, 2018, 5:17 p.m.
2018 Colleges Christmas Social 2018-12-14 Arthur Kingsland Nov. 21, 2018, 3:54 a.m.
RSCDS Wirral - Tuesday 5 May 2015 2015-05-05 Andrew Locke April 30, 2015, 10:24 p.m.
170731 w3 Monday - St A. – Younger Hall 2017-07-31 Martina Mueller-Franz April 14, 2017, 7:52 a.m.
170717 w1 Monday - St A. – Younger Hall 2017-07-17 Martina Mueller-Franz April 14, 2017, 7:47 a.m.
Bristol 2017 Day School Dance 2017-11-11 Margaret Chambers Sept. 18, 2017, 6:13 p.m.
Bristol 2015 Day School Dance 2015-11-15 Margaret Chambers June 22, 2017, 11:42 a.m.
20170401 - Gay Gordon - 10th Anniversary Tartan Day Dance 2017-04-01 Zsofia Jozsef March 21, 2017, 9:58 p.m.
170718 w1 - St Andrews Br. Summer Dance 2017-07-18 Martina Mueller-Franz March 23, 2017, 2:31 p.m.
170801 w3 - St Andrews Br. 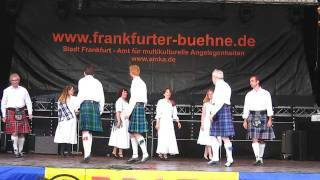 Summer Dance 2017-08-01 Martina Mueller-Franz March 23, 2017, 2:28 p.m.
Scotia Dancers Spring Party March 27,2017 Nameless Dancer March 24, 2017, 6:03 p.m.
ZA 2012-05-28 Fish Hoek Dance Class 2012-05-28 Heather Hodgson April 2, 2017, 12:07 p.m.
St Columba's Dancers 190311 2019-03-11 Sarah B. March 3, 2019, 9:46 p.m.
Oban Social Dance 2019-03-08 Edwin Naughton Feb. 27, 2019, 3:19 p.m.
Oban Social Dance (Copy) 2019-03-08 Edwin Naughton Feb. 27, 2019, 3:25 p.m.
Atholl SCDC Week 25 John`s Programme 19/03/19 Website:-www.athollscdc.co.uk 2019-03-19 Brian Martin Feb. 17, 2019, 12:50 p.m. Suggested Atholl Prog John Nuttall Jan. 31, 2019, 4:32 p.m.
Chester Caledonian Burns Supper 2019 2019-02-03 Andrew Locke Jan. 17, 2019, 10:01 a.m.
Cheltenham Annual Ball 2019-01-12 Brian Rose Jan. 7, 2019, 8:30 p.m.
Addlestone 2019-03-13 Spring Social Dance 2019-03-13 David McQuillan Jan. 8, 2019, 1:08 a.m.
Hunter Valley ball 2018 2018-09-08 Diana Hastie Aug. 20, 2018, 5:02 a.m.
Fleet 2019-03-02 Annual Dance 2019-03-02 David McQuillan Jan. 8, 2019, 12:35 a.m.
2014 TAC SS 1-Sunday Chris Ronald June 29, 2014, 3:56 p.m.
Bristol 2018 Xmas dance night 2018-12-13 Margaret Chambers Dec. 10, 2018, 8:31 p.m. Burn's social 2019 Valois 2019-02-02 Holly Boyd Dec. 4, 2018, 3:39 p.m.
RSCDS Edinburgh Branch 08 December 2018 2018-12-08 John Watkins Dec. 2, 2018, 4:22 p.m.
Chiswick - 25 November 2018 2018-11-25 James Wilson Nov. 26, 2018, 11:14 a.m.
Sydney End of year Social 2018-12-08 Ian Russell Nov. 23, 2018, 6:35 p.m.
Chiswick - 25 November 2018 (orig) 2018-11-25 James Wilson Nov. 26, 2018, 11:10 a.m.
Duddingston 22 November 2018 2018-12-06 John Watkins Nov. 17, 2018, 2:27 p.m.
Chiswick - 28 October 2018 2018-10-28 James Wilson Oct. 29, 2018, 10:21 a.m.
Chiswick - 28 October 2018 (orig) 2018-10-28 James Wilson Oct. 29, 2018, 10:18 a.m.
Epping social 2018 2018-10-13 Diana Hastie Oct. 11, 2018, 11:09 a.m.
St Columba's Dancers 181217 with carols 2018-12-17 Sarah B. Sept. 30, 2018, 12:51 p.m.
St Columba's Dancers 181105 Band Night 2018-11-05 Sarah B. Sept. 30, 2018, 12:25 p.m.
St Columba's Dancers 181022 2018-10-22 Sarah B. Sept. 30, 2018, 12:17 p.m.
18 10 17 Harrogate 2018-10-17 Chris Pratt Sept. 13, 2018, 1:34 p.m.
RSCDS Edinburgh Christmas Dance 2018 2018-12-08 RSCDS Edinburgh Sept. 6, 2018, 10:55 p.m.
Dresden 27.4.2015 2015-04-27 Keith Paterson June 8, 2015, 3:31 p.m.
Leeds Branch Dance 19th May 2018 2018-05-19 Janet Brayson April 2, 2018, 11:01 p.m.
2018 Nikko Social on April 6 2018-04-06 Nameless Dancer March 30, 2018, 12:35 a.m.
2018-5-14 St Columba's Dancers Sarah B. March 22, 2018, 9:44 p.m.
London ~ 150915 Summer Tuesday 2015-09-15 James Wilson Sept. 9, 2015, 10:56 a.m.
Addlestone 2018-03-14 Spring Dance 2018-03-14 David McQuillan Feb. 28, 2018, 10:02 p.m.
West MACS Charity Ball 2016 - 9 April 2016 2016-04-09 Stuart Kreloff Oct. 27, 2017, 11:29 a.m.
Kingston 2018 Welcome Dance 2018-11-02 Alexander Jeffries Aug. 17, 2018, 4:11 p.m.
South East Herts Scottish Country Dance Society 57th Annual Ball 2015 - 21 November 2015 2015-11-21 Stuart Kreloff Nov. 15, 2015, 10:17 p.m.
Oxford Day School Dance 2018 2018-02-17 Christine Jeffery Jan. 14, 2018, 5:41 p.m.
RSCDS Ottawa Branch Annual Ball April 14 2018 2018-04-14 John Bottriell Jan. 25, 2018, 3:16 a.m.
RSCDS Birmingham - Annual Workshop Evening Social - 2018 2018-03-03 Nicola Scott Jan. 7, 2018, 7:45 p.m.
St Columba's 29th February 2016 Sarah B. Jan. 17, 2016, 6:48 p.m.
RSCDS Ottawa Branch February 16 2018 Social 2018-02-16 John Bottriell Jan. 25, 2018, 3:15 a.m.
HHK Dec 19 2017-12-19 Ken Saunders Dec. 15, 2017, 8:52 p.m.
16 06 05 Angela's dance 2016-06-05 Chris Pratt April 16, 2016, 6:11 p.m.
Sydney end of year social 2017 2017-12-02 Diana Hastie Nov. 22, 2017, 1:32 a.m.
Surbiton 2016 March 3rd 2016-03-03 Jenny Kendrick Nov. 17, 2017, 1:20 a.m.
RSCDS Aberdeen Day School Dance, Robert Gordons, 7:30 21 April 2018 2018-04-21 Brian Anderson Nov. 13, 2017, 8:29 p.m.
St Columba's 14 May 2018-05-14 Joan Blake May 14, 2018, 10:56 a.m.
Fleet 2016-04-16 Spring Apprentices Dance 2016-04-16 David McQuillan March 9, 2016, 1:54 p.m.
RSCDS Cheshire Nice and Easy 2016-06-18 Christine Grove March 23, 2016, 12:54 p.m.
HHK basic 24 Oct 2017 2017-10-24 Deborah Leary Oct. 23, 2017, 3:12 p.m.
RSCDS Ottawa Branch November 17 2017 Social 2017-11-17 John Bottriell Oct. 19, 2017, 6:17 p.m.
SASS16 social prog wk4 Saturday 2016-08-13 Sarah B. June 3, 2016, 3:16 p.m.
20160730 w2 Saturday - St Andrews summer school 2016-07-30 Truus de Ceuster June 5, 2016, 9:17 p.m.
160730 w2 Saturday - St Andrews 2016-07-30 Martina Mueller-Franz June 6, 2016, 1:13 p.m.
160813 w4 Saturday - St Andrews 2016-08-13 Martina Mueller-Franz June 6, 2016, 1:11 p.m.
Peterborough & District RSCDS Afternoon Tea Dance 2016-09-30 2016-09-30 Sheila Lewins June 8, 2016, 3:30 p.m.
RSCDS Summer School Social Dance Programme 2016 - Week 4 Saturday 2016-06-11 Nameless Dancer June 12, 2016, 12:20 a.m.
Martice Xmas 2016 F Thomson 2016-12-19 Kate Kinnear Nov. 27, 2016, 5:47 p.m.
17 10 16 Torquay 2017-10-16 Chris Pratt Sept. 22, 2017, 3:18 p.m.
Summer Tuesdays 2016_08_30 2016-08-30 Graham Hamilton July 6, 2016, 12:41 p.m.
Summer Tuesdays 2018_07_17 2018-07-17 Graham Hamilton June 8, 2018, 8:49 p.m.
Ken & Petula's Wedding Ball 2016-10-28 Ken Martlew Aug. 20, 2016, 4:31 p.m.
Bedford SDG 2016-10-09 Social 2016-10-09 Keith Rose July 20, 2016, 2:49 p.m.
San Diego Summer Fling 2016 2016-08-21 Ward Fleri Aug. 11, 2016, 9:07 a.m.
Nantwich and District Annual Ball - 25 March 2017 2017-03-25 Christine Grove Aug. 24, 2016, 9:07 p.m. Youth Branch Weekend Away Oslo 2017-09-02 Nameless Dancer Aug. 16, 2017, 9:55 p.m.
Campers mirror reels and inveran Sue Ronald Nov. 17, 2017, 11:17 a.m.
Chiswick ~ 160925 Social Dance 2016-09-25 James Wilson Sept. 24, 2016, 3:42 p.m.
Oslo weekend 2-3 Sept 2017 2017-09-02 Nameless Dancer Aug. 6, 2017, 8:34 a.m.
Edwin Naughton 2017-08-01 Edwin Naughton Aug. 1, 2017, 11:32 a.m.
RSCDS Summer School 2017 Week 3 Saturday 2017-08-05 Ian Russell July 25, 2017, 7:58 a.m.
RSCDS Summer School 2017 Week 3 Monday 2017-07-31 Ian Russell July 21, 2017, 8:51 p.m.
Scotia Dancers Monday December 12th 2016 Sue Ronald Dec. 11, 2016, 12:39 a.m.
Summer Tuesdays 2017_08_29 2017-08-29 Graham Hamilton July 7, 2017, 10:41 p.m.
St Columba's Dancers 16-01-17 Sarah B. Dec. 11, 2016, 8:26 p.m.
20170224 Winterschool RSCDS - Friday Social 2017-02-24 Truus de Ceuster Dec. 17, 2016, 12:02 p.m.
RSCDS Summer School 2017 - Week 3 - Saturday 2017-08-05 Jörn Bongers June 6, 2017, 1:39 p.m.
RSCDS Summer School 2017 - Week 3 - Monday 2017-07-31 Jörn Bongers June 6, 2017, 1 p.m.
Summer Tuesdays 2017_06_27 2017-06-27 Graham Hamilton June 2, 2017, 11:28 p.m.
Oldenburg Potters Pairs Ball 2017 2017-05-06 Martin McWilliam Jan. 12, 2017, 8:19 p.m.
20170204 - Bristol Newcomer's Dance 2017-02-04 Zsofia Jozsef Jan. 24, 2017, 11:48 a.m.
NYC 2017-05-11 (Basic) 2017-05-11 Keira Hartstein May 10, 2017, 4:29 a.m.
HHK May 9 2017-05-09 Ken Saunders May 7, 2017, 1:23 p.m.
Oban Social Dance 10/3/2017 2017-03-10 Jim Armstrong Jan. 31, 2017, 4:05 p.m.
RSCDS winter school Friday 2017 2017-02-24 Raphaelle orgeret Feb. 21, 2017, 9:25 a.m.
Freiburg_Hausball_20170628 2017-06-28 Kirsten Steinbach May 7, 2017, 10:41 a.m.
170805 w3 Saturday – St A. – Younger Hall 2017-08-05 Martina Mueller-Franz April 14, 2017, 7:55 a.m.
170722 w1 Saturday – St A. – Younger Hall 2017-07-22 Martina Mueller-Franz April 14, 2017, 7:50 a.m.
HHK Dec 5 2017-12-05 Ken Saunders Dec. 3, 2017, 9:08 p.m.
Northern Virginia Branch Burns Night 2018 2018-01-24 Ellie Briscoe Dec. 12, 2017, 7:38 p.m.
Nottingham RSCDS Hogmanay Dance 2018-12-31 Elizabeth Gull Sept. 28, 2018, 12:07 p.m.
Kilts & Ghillies Tea Dance, March 29, 2014 2014-03-29 Peter Price March 23, 2014, 1:20 a.m.
161112 Autumn Special 2016-11-12 Meinhard Reiser Sept. 9, 2016, 4:46 p.m.
Nottingham RSCDS Social Dance 2016-09-24 Elizabeth Gull Aug. 10, 2016, 3:37 p.m.
Richmond Virginia 2017 Christmas Dance 2017-12-09 Bern Runk Sept. 21, 2017, 4:41 p.m.
Hamburg Class 2017-01-26 2017-01-26 David Quarrie Feb. 2, 2017, 11:48 a.m.
Campers' Week at Pinewoods 2013 Sue Ronald Aug. 25, 2013, 2:29 p.m.
Harrow and District Caledonian Society Christmas Party Dance 2015 - 16 December 2015 2015-12-16 Stuart Kreloff Dec. 8, 2015, 10:03 p.m.
RDCDS Wirral - Summer Dance 6 June 2015 2015-06-06 Andrew Locke April 17, 2015, 4 p.m.
Münster 16 October 2018 2018-10-16 Edwin Werner Oct. 17, 2018, 11:23 a.m.
2016 San Diego AGM Program 2016-05-06 Ward Fleri April 24, 2016, 9:04 a.m.
RSCDS London Branch Christmas Dance 2017 2017-12-16 Elaine Davies July 8, 2017, 7:43 p.m.
RSCDS Wirral - Xmas Dance 2017 2017-12-02 Andrew Locke Oct. 21, 2017, 5:04 p.m.
Word Search 2018-10-01 Simon Stewart Sept. 24, 2018, 4:16 p.m.
RSCDS Wirral - 31 October 2017 2017-10-31 Andrew Locke Oct. 29, 2017, 8:15 p.m.
Watford & West Herts Scottish Society Improvers' and Beginners' Class - 19 June 2017 2017-06-19 Stuart Kreloff June 18, 2017, 12:05 p.m.
White Heather Ball 2017 2017-06-17 Alexander Jeffries May 6, 2017, 9:46 p.m.
RSCDS KIRKCALDY BALL 2019-03-02 Jim Armstrong Sept. 28, 2018, 9:16 a.m.
Oldenburg 2017-01-16 2017-01-16 Sir Toby Feb. 14, 2017, 9:31 a.m.
HHK 28 February 2017 2017-02-28 Deborah Leary Feb. 26, 2017, 6:48 p.m.
Pawling 2014 Sue Ronald Feb. 7, 2014, 8:52 a.m.
Scotia Dancers March 16 2015 2015-03-16 Sue Ronald March 15, 2015, 12:51 p.m.
Waltham End-of-term Social 2016-04-28 John Aitken April 20, 2016, 12:40 p.m.
Waltham St Andrews Day Social 24 Nov 2016 2016-11-24 John Aitken Nov. 23, 2016, 5:10 p.m.
Farnham 2017-03-21 Spring Dance 2017-03-21 David McQuillan Jan. 31, 2017, 2:11 a.m.
Surbiton 2017 February 23rd 2017-02-23 Jenny Kendrick Nov. 17, 2017, 8:02 p.m.
Oldenburg 2017-03-06 2017-03-06 David Quarrie June 29, 2017, 8:38 a.m.
Monday Reel club 16–01–17 Nameless Dancer Jan. 13, 2017, 10:41 a.m.
RSCDS Cheshire - Bunbury Demo 2018 Andrew Locke May 29, 2018, 12:05 a.m.
Chiswick - 4 February 2018 (orig) 2018-02-04 James Wilson Feb. 5, 2018, 4:45 p.m.
Münster Jubilee Dayschool 2018-09-22 Edwin Werner Sept. 23, 2018, 10:59 p.m.
Nantwich Demonstration Dances 2016-17 Christine Grove July 19, 2016, 12:14 a.m.
RSCDS Wirral - Summer Dance 3 June 2017 2017-06-03 Andrew Locke May 6, 2017, 9:35 p.m.
Ho-Ho-Kus March 1, 2016 Ken Saunders Feb. 29, 2016, 1:23 a.m.
Dingwall End of Term Party 2019-04-02 Fiona Newton March 24, 2019, 10:25 p.m.
St Columba's Dancers 181203 Band Night 2018-12-03 Sarah B. Sept. 30, 2018, 12:42 p.m.
East Bridgford Village Show 2018-06-30 Elizabeth Gull June 18, 2018, 11:51 a.m.
Surbiton 2016 April 28th 2016-04-28 Jenny Kendrick Nov. 17, 2017, 12:38 a.m.
RSCDS Edinburgh Nice 'n' Easy Dance 2018 2018-02-17 RSCDS Edinburgh Dec. 1, 2017, 11:43 a.m.
17 01 27 Bournemouth 2017-01-27 Chris Pratt Jan. 3, 2017, 9:45 p.m.
Abbeyview Spring Dance 17.04.18 2018-04-17 John McLean March 15, 2018, 5:52 p.m.
Farnham 2017-06-20 Summer Dance 2017-06-20 David McQuillan June 23, 2017, 12:21 p.m.
Duddingston 15 February 2018 2018-02-15 John Watkins Feb. 11, 2018, 11 a.m.
Scotia Social May 12th - at Pearl Studios, 4th floor, 500 Eighth Avenue, 7:30PM Sue Ronald May 5, 2014, 9:07 p.m.
FNT Scottish Ball - St.Petersburg 2018-06-10 Ekaterina Iarmarkina May 22, 2018, 3:30 p.m.
Farnham 2016-06-21 Summer Dance 2016-06-21 David McQuillan June 2, 2016, 9:31 p.m.
Scotia Feb. 9th 2015 Sue Ronald Feb. 4, 2015, 10:01 p.m.
Linlithgow SCDC 18 January 2019 2019-01-18 John Watkins Jan. 9, 2019, 1:42 p.m.
Dumfries 70th Anniversary 2017-09-30 John Riddet Sept. 30, 2017, 5:22 p.m.
Atholl SCDC Week 15 Bobby`s Programme 08/01/19 Website:-www.athollscdc.co.org 2019-01-08 Brian Martin Dec. 2, 2018, 5:29 p.m.
Scotia Dancers Monday November 21st 2016 Sue Ronald Nov. 19, 2016, 5:45 p.m.
THISTLE CLUB DANCE (Leeds) - 4 Oct 2014 2014-10-04 Christine Parker-Jones Sept. 21, 2014, 1:31 p.m.
Hamburg Beginner Workshop and Dance 2018-04-07 2018-04-07 David Quarrie April 9, 2018, 1:07 p.m.
RSCDS Wirral Tuesday 29 September 2015 2015-09-29 Anne MacDonald Sept. 27, 2015, 7:50 p.m.
Oldenburg 2017-04-24 2017-04-24 David Quarrie June 29, 2017, 8:37 a.m.
Rhein-Main-Mini-Social, 10. November 2014 (DA) 2014-11-10 Anselm Lingnau Oct. 11, 2014, 10:43 p.m.
Scotia Dancers November 20th, 2017 Nameless Dancer Nov. 18, 2017, 8:14 p.m.
2018 SEHSCDS June End of Term Dance 2018-06-12 Dance ForFun May 1, 2018, 2:39 p.m.
Surbiton ~ 150903 Dance 2015-09-03 James Wilson Aug. 28, 2015, 9:55 p.m.
Bonn 2019-01-21 (19h Beginners/Theme: Reels of 3) 2019-01-21 Eva-Maria Beckmann Jan. 20, 2019, 12:52 p.m.
NY branch 22 June 2017-06-22 Deborah Leary June 22, 2017, 3:20 p.m.
Oldenburg 2016-02-15 2016-02-15 David Quarrie April 10, 2016, 10:23 a.m.
Kitchener-Waterloo Branch Ball 2018-06-09 Kathryn Lecocq Feb. 25, 2018, 7:39 p.m.
Scotia Dancers October 16, 2017 Nameless Dancer Oct. 16, 2017, 2:33 a.m.
Duddingston 26 April 2018 2018-04-26 John Watkins April 22, 2018, 2:02 p.m.
Headington Class 21 February 2019 2019-02-21 Sandra McLevy Feb. 20, 2019, 6:50 p.m.
Scotia special 2017-04-17 Peter Price March 16, 2017, 5:46 p.m.
RSCDS New York Branch Classes 1/5/2017 2017-01-05 Ellen Sears Jan. 3, 2017, 5:48 p.m.
Duddingston 17 January 2019 2019-01-17 John Watkins Jan. 12, 2019, 7:02 p.m.
White Cockade October 16, 2016 2016-10-16 Jamie McDougall Sept. 25, 2016, 5:25 p.m.
RSCDS BHS 2016-10-01 Autumn Social 2016-10-01 David McQuillan Aug. 25, 2016, 10:55 p.m.
Surbiton 2016 December 1st - St Andrew's Evening 2016-12-01 Jenny Kendrick Nov. 17, 2017, 1:26 a.m.
16 08 27 Parkinson's Goring 2016-08-27 Chris Pratt May 30, 2016, 6:10 p.m.
Kitchener-Waterloo RSCDS Christmas Dance 2018 2018-12-15 Kathryn Lecocq Oct. 6, 2018, 6:39 p.m.
18 05 26 Bognor Regis 2018-05-26 Chris Pratt March 12, 2018, 6:49 p.m.
RSCDS Ottawa Branch March 16 2018 Social 2018-03-16 John Bottriell March 5, 2018, 5:54 p.m.
SEHSCDS Christmas Dance 2018 2018-12-14 Dance ForFun Oct. 16, 2018, 5:31 p.m.
RSCDS Wirral - 17 April 2018 2018-04-17 Andrew Locke April 15, 2018, 11:38 p.m.
Leicester Caledonian - 10 Sept 2018 2018-09-10 Margaret Spence Sept. 4, 2018, 9:52 a.m.
St Andrews 310718 J Lindsay 2018-07-31 Mary Cant July 28, 2018, 3:49 p.m.
Helensburgh Ball 2019-03-29 Zsolt Molnar Feb. 20, 2019, 11:20 a.m.
RSCDS Wirral - Tuesday 5 April 2016 2016-04-05 Andrew Locke April 3, 2016, 6:50 p.m.
TAC 2016 TCW Ball 30 July 2016-07-30 Gail Michener March 28, 2016, 8:01 p.m.
Cheam ~ 180407 Dance 2018-04-07 James Wilson March 26, 2018, 2:04 p.m.
Cambridge Joint Class - Summer - Tuesday 6 June 2017 2017-06-06 Jacqui Brocker June 1, 2017, 1:07 p.m.
March On Dance Saturday 2nd march 2019 Virginia Colenbrander Feb. 1, 2019, 12:07 p.m.
Scotia Social April 14th, 2014 2014-04-14 Sue Ronald April 7, 2014, 5:59 p.m.
TAC 2017 TCW 1 Social Friday 21 July 2017-07-21 Gail Michener Dec. 14, 2016, 7:49 p.m.
NYC 2017-05-04 2017-05-04 Marc Hartstein May 3, 2017, 4:25 a.m.
Münster Christmas Ball 2005 - A Baker's Dozen 2005-12-17 Cord Walter May 23, 2015, 11:10 p.m.
Surbiton ~ 170706 Garden Dance 2017-07-06 James Wilson July 6, 2017, 11:54 a.m.
180731 w3 Tuesday - St Andrews Branch - Town Hall 2018-07-31 Martina Mueller-Franz June 13, 2018, 1:14 p.m.
Malta Friday September 18 2015 2015-09-18 Nameless Dancer Aug. 20, 2015, 9 a.m.
Leicester Caledonian Society - 11 Sept 2017 2017-09-11 Margaret Spence Sept. 7, 2017, 3:18 p.m.
East Lothian Buffet Dance 7.30 11.01.19 2019-01-11 John McLean Nov. 1, 2018, 6:46 p.m. 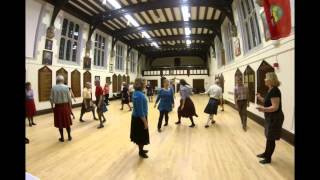 The Sunday Class Dancing Holiday: Day 5 (Friday) 2016-09-16 2016-09-16 Sheila Lewins June 23, 2016, 9:40 a.m.
RSCDS Edinburgh Strawberries and Cream Summer Dance 2019 2019-07-27 RSCDS Edinburgh April 17, 2019, 10:16 p.m.
SQP_BournemouthBall_20160423 2015-08-25 Roland Telle Aug. 25, 2015, 8:03 p.m.
RSCDS Aberdeen Westhill 8Mar2019 2019-03-08 Mark Hagger Jan. 24, 2019, 5:54 p.m.
RSCDS Dundee 2015 July 6 Stella Phillips March 19, 2015, 11:44 p.m.
Peterborough & District RSCDS SCD Weekend: Saturday evening 2015-06-20 2015-06-20 Sheila Lewins March 22, 2015, 11:36 a.m.
Oslo SCD Group Yule Dance 2017 2017-12-11 James Gray Nov. 27, 2017, 1:39 p.m.
RSCDS Wirral - Tuesday 25 April 2017 2017-04-25 Andrew Locke April 24, 2017, 1:51 p.m.
Berkhamsted S&R Club Members' Tea Dance 2018-03-25 Jane Rose Feb. 1, 2018, 10:54 p.m.
Rhein-Main-Mini-Social, 5. Dezember 2014 (MZ) 2014-12-05 Anselm Lingnau Nov. 16, 2014, 5:33 p.m.
RSCDS Wirral - Tuesday 31 January 2017 2017-01-31 Andrew Locke Jan. 29, 2017, 5:02 p.m.
Headington Class 28 February 2019 2019-02-28 Sandra McLevy Feb. 27, 2019, 7:27 p.m.
FSCDC 4 November 2014 2014-11-04 Anselm Lingnau Nov. 10, 2014, 2:22 p.m.
Garden Dance 2018 J&M 2018-06-26 John Aitken June 20, 2018, 9:02 a.m.
RSCDS Wirral - Tuesday 27 September 2016 2016-09-27 Andrew Locke Sept. 22, 2016, 10:24 p.m.
Munich St. Andrew's Dance 2015-12-05 2015-12-05 Angelika Schmidkonz March 6, 2017, 6:02 p.m.
Belleville Christmas Social 2016-12-13 Alexander Jeffries Dec. 8, 2016, 10:22 p.m.
Kitchener RSCDS November Dance 2015 2015-11-14 Jamie McDougall Nov. 11, 2015, 2:44 a.m.
RSCDS Cheshire Branch Nice and Easy - 20th June 2015 2015-06-20 Anne MacDonald Feb. 28, 2015, 11:02 p.m.
Corby 2016-05-14 George Shepherd March 3, 2016, 9:16 p.m. Weekend 5-7 October (Friday) Joanne Lawrence Aug. 28, 2018, 9:32 p.m.
RSCDS Cheshire Branch Social - 5 June 2019 2019-06-05 Andrew Locke April 9, 2019, 11:36 p.m.
Garden Dance 27 June/4 July 2015-06-11 Jan Collings June 21, 2015, 10:35 a.m.
18 02 24 Brighton & Hove 2018-02-24 Chris Pratt Dec. 20, 2017, 8:15 p.m.
OSCDG - Social Dance #2 2017-11-11 Kristian Vestli Oct. 15, 2017, 7:36 p.m.
Bonn 2018-11-26 2018-11-26 Eva-Maria Beckmann Nov. 24, 2018, 8:53 a.m.
Kelsall Spring Dance 2017 2017-04-07 Andrew Locke March 26, 2017, 7:12 p.m.
Kelsall Spring Dance 2017-04-07 Christine Grove Feb. 27, 2017, 1:16 p.m.
171104 RSCDS AGM 2017 - Saturday Ball 2017-11-04 Martina Mueller-Franz May 11, 2017, 5:03 p.m.
RSCDS BHS 2017-09-30 Autumn Social 2017-09-30 David McQuillan Aug. 31, 2017, 11:11 a.m.
RSCDS AGM 2017 Saturday Ball 2017-11-04 Sue Ronald Oct. 3, 2017, 5:43 p.m.
Perth AGM 2017 - Saturday 2017-11-04 Adrian Dickin Oct. 22, 2017, 4:52 p.m.
Bristol 2018 Newcomers 2018-02-10 Lynn Robinson Nov. 5, 2017, 5:41 p.m.
Leeds club Nov 24, second draft 2018-11-24 Ian Brown Aug. 22, 2018, 11:42 a.m.
Linlithgow March Dance 2018-03-23 Jim Armstrong March 19, 2018, 9:33 a.m.
Newbury 2015-03-15 Charity Tea Dance 2015-03-15 David McQuillan Feb. 14, 2015, 12:13 a.m.
Market Harborough SCDS Dance 2014-09-20 2014-09-20 Sheila Lewins July 26, 2014, 5:47 p.m.
20190907 - Thistle Club September Dance 2019-09-07 Zsofia Jozsef March 29, 2019, 10:45 p.m.
Knutsford Invitation Evening 2017 2017-04-05 Andrew Locke March 30, 2017, 12:29 a.m.
Cambridge Class 2015-02 Charles Liu April 5, 2015, 10:21 p.m.
150727 w1 Monday - St Andrews 2015-07-27 Martina Mueller-Franz May 18, 2015, 12:50 p.m.
H ERTSMERE 7.30 pm until 11.00 pm N6 1BZ 2017-10-14 Matthew Goulden Oct. 14, 2017, 1:11 p.m.
HHK January 31 2017-01-31 Deborah Leary Jan. 29, 2017, 6:09 p.m.
2016-06-11 Dunedin Summer Dance 2016-06-11 John Nuttall May 23, 2016, 2:30 p.m.
Belfast 5 May 2018 2018-05-05 Verl Girl Feb. 14, 2018, 7:54 p.m.
Sandbach Ball 2014 Andrew Locke April 1, 2014, 8:41 p.m.
Delaware Valley RSCDS Spring Ball 1999 1999-03-20 Andy Peterson April 1, 2018, 3:28 a.m.
150810 w3 Monday - St Andrews 2015-08-10 Martina Mueller-Franz May 18, 2015, 12:55 p.m.
Surbiton Caledonian Society - programme for 17 Nov MCs: Libby & Ruth 2016-11-17 Nameless Dancer Nov. 11, 2016, 4:24 p.m.
Kingston Social December 2018 2018-12-08 Alexander Jeffries Oct. 28, 2018, 10:54 p.m.
190203 Chiswick Burns Night 2019 2019-02-03 Evelyn Norman Dec. 17, 2018, 1:30 p.m.
Epping Forest Scottish Association June Dance 2017 - 24 June 2017 2017-06-24 Stuart Kreloff June 24, 2017, 11:26 a.m.
Dayschool The Hague 9 November 2013 2013-11-09 Edwin Werner March 4, 2015, 12:45 p.m.
Surbiton 2016 October 27th 2016-10-27 Jenny Kendrick Nov. 17, 2017, 1:31 a.m.
Chiswick - 3 February 2019 Burns Night Dance 2019-02-03 James Wilson Jan. 12, 2019, 12:21 p.m.
Surbiton 2017 April 27th 2017-04-27 Jenny Kendrick April 21, 2017, 6:08 p.m.
Surbiton 2019 February 7th 2019-02-07 Jenny Kendrick Feb. 1, 2019, 5:27 p.m.
Coleraine Weekend School 2018 Ruth Clarke April 6, 2018, 12:11 p.m.
150801 w1 Saturday - St Andrews 2015-08-01 Martina Mueller-Franz May 18, 2015, 3:07 p.m.
190731 w3 Wednesday - Common Room 2019-07-31 Martina Mueller-Franz Jan. 21, 2019, 1:34 p.m.
190717 w1 Wednesday - Common Room 2019-07-17 Martina Mueller-Franz Jan. 21, 2019, 1:15 p.m.
Stamford Dance 2014-03-01 2014-03-01 Sheila Lewins Feb. 22, 2014, 3:28 p.m.
150815 w3 Saturday - St Andrews 2015-08-15 Martina Mueller-Franz May 18, 2015, 3:13 p.m.
Dayschool The Hague 11 October 2015 2015-10-11 Edwin Werner Oct. 12, 2015, 5:20 p.m.
Josselin (Brittany) Social 9.10. 2015 2015-10-09 Odile Paraire Sept. 21, 2015, 1 p.m.
RSCDS New York Branch January 14th 2016 Sue Ronald Jan. 13, 2016, 3:21 p.m.
Surbiton 2019 April 25th 2019-04-25 Jenny Kendrick April 19, 2019, 12:35 a.m.
Surbiton 2016 May 26th 2016-05-26 Jenny Kendrick Nov. 17, 2017, 12:38 a.m.
16 10 08 SASS Goring 2016-10-08 Chris Pratt Aug. 28, 2016, 4:57 p.m.
St Columba's Dancers 10-10-16 Sarah B. Sept. 16, 2016, 2:31 p.m.
St Columba's Dancers 20-02-17 Sarah B. Jan. 18, 2017, 10:06 p.m.
Helensburgh Weekend Dance 2017-04-01 John McLean March 26, 2017, 6:23 p.m.
Delta Borderers Nov 2013 Rachel Pusey Nov. 11, 2013, 11:03 p.m.
Winnipeg Branch 2018 Ball 2018-04-21 Peter McClure Jan. 28, 2018, 4:44 p.m.
RSCDS Ottawa Branch AGM May 11 2018 2018-05-11 John Bottriell April 15, 2018, 10:01 p.m.
Bournemouth RSCDS 50th Anniversary Ball 2016 2016-04-23 Brian Rose April 13, 2016, 1:42 p.m.
16 05 14 Goring Scouts 2016-05-14 Chris Pratt March 24, 2016, 7:06 p.m.
2019 April Monthly Dance 2019-04-13 Nameless Dancer March 31, 2019, 1:41 a.m.
surbiton 2019-02-21 Nameless Dancer Feb. 16, 2019, 12:02 a.m.
St Columba's 21st March 2016 Sarah B. Jan. 17, 2016, 8:25 p.m.
scotia 11 July 2016-07-11 Deborah Leary July 7, 2016, 2:39 a.m.
Delaware Valley Branch Spring Ball 1992 1992-03-21 Andy Peterson Jan. 2, 2018, 3:32 a.m.
RSCDS Wirral - Visitors' Night 2017-02-14 Andrew Locke Jan. 11, 2017, 6:42 p.m.
Fergus Gathering 2019 2019-09-28 Kathryn Lecocq April 12, 2019, 1:31 a.m.
Surbiton Caledonian 30 Nov 2017-11-30 Nameless Dancer Nov. 24, 2017, 10:03 p.m.
SEHSCDS October 2017 2017-10-13 Dance ForFun Aug. 26, 2017, 11:21 a.m.
RSCDS Cheshire Nice & Easy June 2013 Christine Grove Feb. 19, 2013, 1:46 p.m.
Castle Club with David Cunningham 2016-10-01 Kate Kinnear Sept. 26, 2016, 12:29 a.m.
Scotia Dancers March 6th Nameless Dancer March 4, 2017, 6:40 p.m.
Reading 2017-02-04 Annual Ball 2017-02-04 David McQuillan Jan. 2, 2017, 9:11 p.m.
Desertcreat Party 2014 Ruth Clarke May 6, 2015, 5:23 p.m.
Stoney Lake Ball 2019 2019-05-25 Alexander Jeffries Feb. 23, 2019, 6:39 p.m.
Collins book 2017 - More challenging dances Truus de Ceuster Sept. 12, 2017, 5:20 p.m.
Atholl SCDC -Jean's Programme - 22 November 2016-11-22 Joy Scott Nov. 9, 2016, 4:07 p.m.
181103 RSCDS AGM - Saturday Ball 2018-11-03 Martina Mueller-Franz May 24, 2018, 1:43 p.m.
RSCDS Leicester Social 26 Oct 2017 2017-10-26 Margaret Spence Oct. 24, 2017, 11:16 p.m.
18 11 03 RSCDS AGM Perth Saturday 2018-11-03 Chris Pratt May 27, 2018, 9:23 p.m.
Peterborough RSCDS Core Dances May 2014 Sheila Lewins April 27, 2014, 3:25 p.m.
RSCDS Cheshire Social Evening - Weds 9 March 2016 2016-03-09 Christine Grove Feb. 13, 2016, 10:26 a.m.
St Andrew's Ball Belfast 2015 Ruth Clarke Sept. 16, 2015, 2:13 p.m.
Newark Annual Social 21 January 2017 2017-01-21 John Aitken Oct. 24, 2016, 9:36 p.m.
RSCDS Cheshire Social Wed 5 June 2013 2013-06-05 Christine Grove June 2, 2013, 8:21 p.m.
170107 Castle Club J Coutts 2017-01-07 Kate Kinnear Dec. 11, 2016, 1:08 p.m.
Leeds Club Dance 14th March 2015 2015-03-14 Christine Parker-Jones Feb. 22, 2015, 11:56 a.m.
Peterborough RSCDS Core Dances 2017 Sheila Lewins Dec. 31, 2017, 11:10 a.m.
Charles and Noreen's Party Christine Grove Sept. 6, 2013, 2:38 p.m.
Newcastle Festival 2015 2015-02-14 John Riddet Feb. 13, 2015, 6:03 p.m.
Peterborough & District 35th Anniversary Dance 2016-10-15 2016-10-15 Sheila Lewins June 12, 2016, 6:53 p.m.
Delaware Valley RSCDS Hogamany 1991 - 1992 1991-12-31 Andy Peterson Jan. 6, 2018, 9:51 p.m.
Milton Keynes Ball 2014 Jan Jones Oct. 6, 2013, 5:04 p.m.
RSCDS Nottingham Branch November Social 2018-11-17 Nameless Dancer Aug. 21, 2018, 4:21 p.m.
20170318 - Knowle SCDC Annual Dance, Hampton in Arden 2017-03-18 Zsofia Jozsef March 14, 2017, 1:09 p.m.
Newcastle Festival 2015 2015-02-14 Hervé Raymond Jan. 15, 2015, 10 p.m.